But it is still disappointing that a desire for “clicks” should over-ride the facts, particularly on such a critical issue. It has, after all, been common knowledge that the 80-year old Naimi wanted to retire a year ago, after the death of Saudi King Abdullah. He was only persuaded to stay on to provide continuity. Now, just before Ramadan begins on 7 June, is an ideal moment for the long-planned handover to Saudi Aramco chairman Khalid al-Falih to take place. One benefit of his year-long lead-in to retirement was that Naimi was able to give a “retirement interview” to Daniel Yergin at the IHS/CERA conference in February. This was a tour de force of everything that Naimi had seen and learnt during his 69-year career in the oil industry, which began when he joined Saudi Aramco as an office boy in 1947. 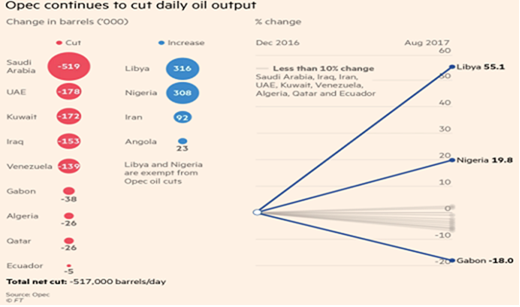 The question-and-answer session with Yergin was highly revealing of Naimi’s and Saudi thinking on the outlook for oil prices, particularly when he dismissed suggestions that OPEC production might be cut to rebalance the market. Today it is clear that even the freeze concept has been abandoned. So in terms of oil market developments,now is a sensible moment for Naimi to move into his well-deserved retirement. But lets be clear. He wasn’t fired or dismissed. Equally important is that the change of personnel doesn’t mean any change is likely in Saudi oil policy. This has always been a slow-moving process, controlled at the highest level of the government. And as Naimi explained to Yergin, the key decisions were made as long ago as November 2014. The fact that even a freeze has proved impossible to agree, reconfirms the rationale for the decision. I was kindly invited last week to give a keynote address at the annual ME-TECH conference in Dubai. Naturally, there was intense interest in my argument that oil prices were most unlikely to recover to the $100/bbl level. Instead, I suggested they would likely return to their long-term historical average of $33/bbl (in $2014). And I argued that this would be good news for the global and Middle Eastern economies. This development highlights the change of direction underway in oil policy in key nations such as Saudi Arabia. They now have a much greater stake in promoting downstream demand, in order to create local jobs in the region. One key issue is that exports from this new refining capacity effectively increase OPEC’s total oil exports. Commentators usually only focus on OPEC’s actual oil production. Yet its exports of refined products are equally important to global oil supply and demand balances. Even more important is the opportunity that new refining capacity provides to create jobs in downstream industries such as plastics and other value chains. This is critical for social stability, as the Middle East is one of the few world regions with relatively young populations of median age 25 – 30 years. Governments who wish to remain in power, know they have to provide jobs for these young people, or risk mounting social unrest. And so whilst it may be more profitable to ship high-priced oil to markets in the US, Asia and Europe, job creation is becoming a more important priority. “We are no longer limited to exporting crude oil. This will make the kingdom one of the five largest countries in the world in terms of refined crude capacity and the second largest exporter of refined products after the US”. In turn, this highlights a key rationale for Saudi’s market-driven pricing policy. Not only does it have the lowest production costs in the world, and the largest oil reserves. But it needs to maximise its refinery and downstream volumes to create jobs. High oil prices do the opposite – they destroy demand. Thus it should be no real surprise that, as I noted back in December’s pH Report, Naimi has made it very clear that in future, “the market sets the price”. 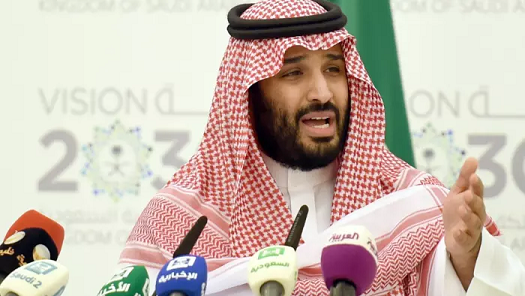 In my view, the various conspiracy theories that have been put forward to explain why Saudi encouraged oil prices to fall are wide of the mark. Logic suggests that Saudi has little interest in trying to bankrupt Russia, or to close down US shale production. Instead, it simply needs to maximise demand for its products in order to create as many jobs as possible, as fast as possible. Saudi warns, again, that oil prices are "too high"
Brent oil prices are still within the triangle formed by movements over the past 4 years. As the chart shows, they tried to break-out on the upside last month, based on Iran supply worries. But since then, they have retreated again. Interestingly, there are now signs that fundamentals rather than sentiment are starting to drive oil markets. For the past 2 years, prices have been driven higher by the investment banks, with their continued forecasts of strong demand growth in China, plus reduced supply. The only problem is that neither argument has proved correct. China’s demand growth is slowing fast, as it moves to a more domestically-driven economy. 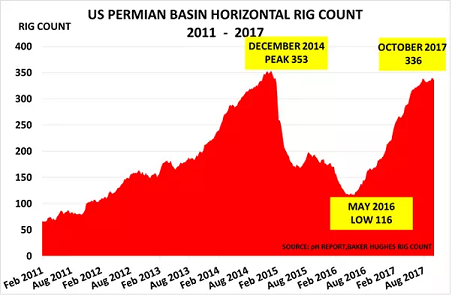 Whilst record oil price levels have encouraged new supply to come onstream. Of course, rising prices helped originally to create the perception of strong demand, as buyers rushed to protect margins by buying forward. But today, this process is reversing as companies try to reduce inventory levels and working capital. If prices fail to break higher, then the next step might instead be (for companies) to use today’s higher prices as a platform for opening new hedges to guard against the downside risk. With Saudi Oil Minister Naimi again warning that prices are ‘too high’, the blog sees no reason to change this analysis. “We’re flagging that there are clearly downside risks to the global economy and to oil demand: the world could see zero demand growth if there were further downgrades to global GDP estimates”. The issue is simple. The world has never before had to live with Brent prices at over $100/bbl ($2012) for so long. Demand destruction is clearly taking place on a wider and wider scale. Even if prices fell sharply tomorrow, demand would now still take a long time to recover. The IEA data shows that Western demand fell very sharply in Q4, by 700kbd. And Asia, despite all the bullish analyst talk about decoupling and perpetual demand growth, saw just a 400kbd increase. China’s slowing economy meant its demand rose only 1.7% in November versus 2010. Yet for the moment, prices remain at their record levels. They are supported not only by Iran’s threat to block the Strait of Hormuz, but also by Saudi Arabia’s comment that its “wish and hope is we can stabilize this oil price and keep it at a level around $100/bbl“. But today’s position is less clear-cut. Saudi needs high prices, at least $80/bbl, to balance its budget, following its decision to increase subsidies and handouts following the Arab Spring. But it also (unlike the 1980s) needs high volumes. 3.6mbd at $100/bbl wouldn’t provide enough income. And finally, of course, there is the growth of gas supply. The arrival of shale gas has pushed US prices down to $2.35/MMBTU. As the chart shows, this has led to a record ratio for crude oil prices versus gas of 34 today, when the energy equivalent ratio is only ~6. This will further reduce oil demand in favour of gas, probably permanently. Whilst today’s record prices mean that other major consumers including the UK, Poland and China, are all hurriedly jumping on the bandwagon. The blog cannot remember a time in the past 30 years when oil markets have been so uncertain. History suggests it would be extremely unwise to bet against Saudi, at least in the short-term. The Iranian situation makes this doubly risky. Yet building inventory would also be very risky, if prices did begin to fall. And it is also very expensive at today’s prices. Thus low inventories and increasing nervousness create the potential for continued price volatility, further adding to the uncertainty.